When I started Doobert, I had no idea how often people would offer their opinions. It seems like so long ago that I started on the concept for Doobert. As I have written about previously, I had no experience in doing web-based software, and had never done anything even as simple as a blog let alone a complex, custom-built application. In the beginning, I primarily kept to myself building the application and company that you now know as Doobert. 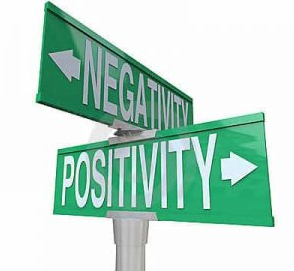 Slowly, I started to share with friends and family what I was doing and I was quite surprised at the challenging and negative responses I would get. Usually they would say something like “That’s really cool but how are you going to make money?” trying to fill their void of knowledge about animal rescue with something they can comprehend…profit. Early on I would respond that the goal and intent of Doobert was not to profit from animal rescue but rather to help save time using technology to provide tools so people could save more animals. Quickly, I found out that this response just elicited an even longer set of questions and challenges about how that was not a smart idea, or how it would never make a difference. Therefore I started changing my response to indicate that I would profit from online advertising since this concept was easily understood by just about everyone and usually it stopped the incessant line of questions much quicker. Through this process, I learned that when you have an innovative idea or are proposing something that is yet unproven or unheard of, that you will elicit reactions that you may have never thought would come from those closest to you. We usually think about our friends and family being there for us and helping us when we are in need. While they may have been trying to help me with their inquiries and questions, all they ended up doing was clouding my vision and path for what I saw as possible. Their skepticism or confrontational line of questioning seemed to stem from their own issues not solely from the ideas that I was sharing. Your journey will be long and difficult and only YOU can motivate YOU. People from all walks of life join together in animal rescue. 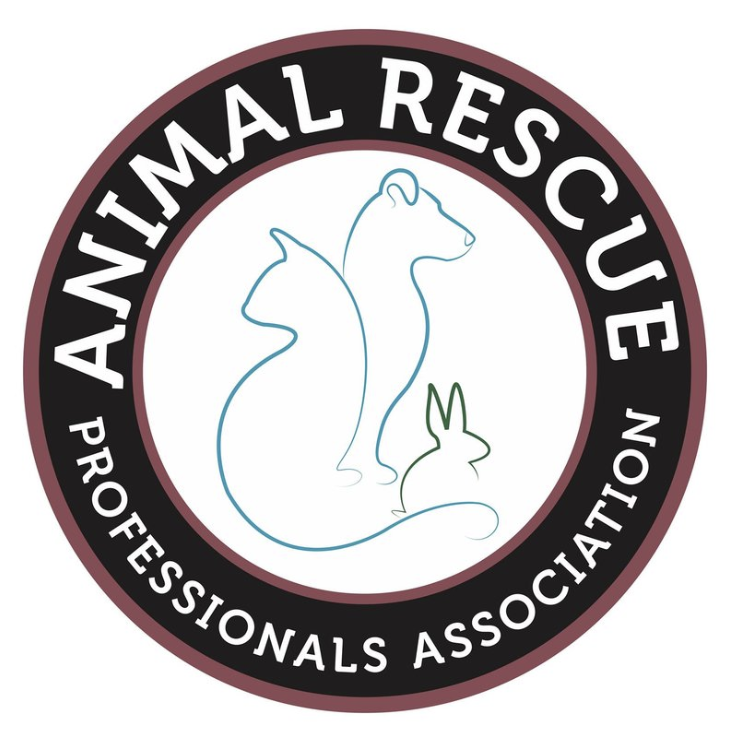 Our friends at the Animal Rescue Professionals Association have a great podcast called Professionals in Animal Rescue where they interview people from all different backgrounds that are helping animals. Doctors, lawyers, teachers, technology people…they all have a part and a role to play in this industry. There are many reasons why YOU decided to get involved and dedicate your time and money to helping animals. Maybe you’ve loved animals since you were a kid, or maybe you had a pet that inspired you to do more for others like him or her. Perhaps you saw a show like Pitbulls & Parolees on Animal Planet and started researching more about what’s involved. Whatever the reason you joined the movement, you did so with eyes at least partially open to the problem and you likely had a goal in mind that you wanted to accomplish. On my journey, at every twist and turn it seemed like someone was telling me why something I wanted to try wouldn’t work or why they wouldn’t work with me and preferred to do things on their own. I remember friends and family telling me that maybe I just needed to give up, let Doobert run its course and instead focus on something less daunting and time-consuming. There were other rescuers that taunted me, other volunteers that berated me and droves and droves of people that responded negatively for one reason or another when something didn’t work exactly as planned. But being the stubborn person I am, I persisted. Deep down inside I kept reminding myself that I was doing this to help animals and those that wanted to work with me would work with me and those that didn’t would not. A simple enough premise but one that takes a lot of reminding internally to keep moving forward. Remember that people tell you what they think because of their issues, not yours. Someone told me a simple salesman technique to use when you’re feeling down that a potential customer didn’t want to buy from you. Their analogy was to imagine that you’re selling lemonade. Many people will come to your booth and gladly buy some lemonade because they’re thirsty. 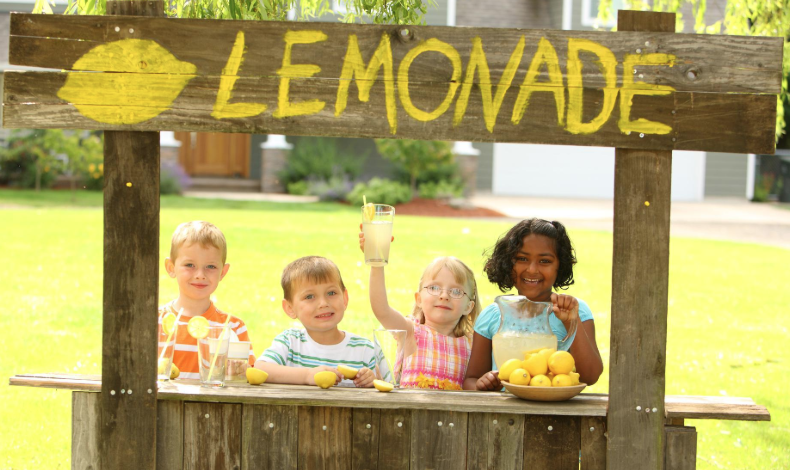 Others simply won’t come buy lemonade because they don’t like lemonade or maybe they prefer soda. And yet others who might normally enjoy lemonade will not buy from you this time because they’re not thirsty. The idea is to separate your emotions and inability to convince someone to buy your lemonade from the simple fact that they may not be thirsty right now. 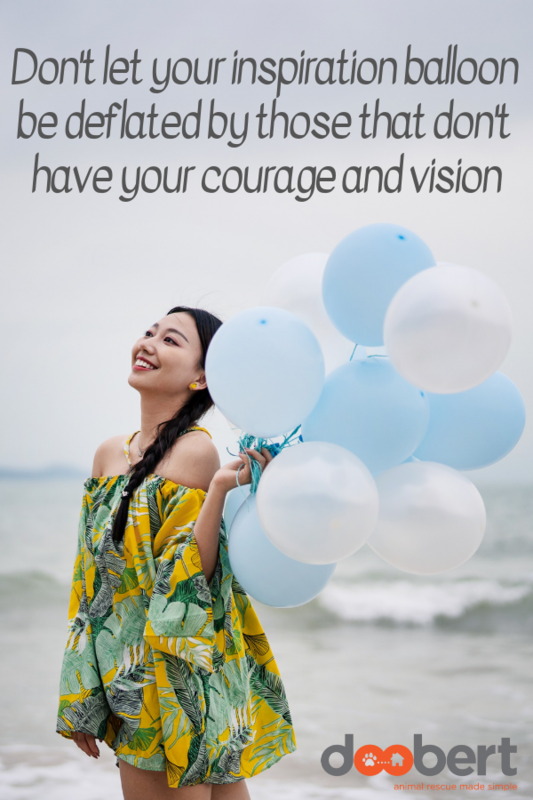 When it comes to your vision for animal rescue, only you know your true path and course and only you have the formula for your ultimate success. You will likely encounter people that will question you, scoff at you or otherwise try and challenge your vision, your goal or your mission. Never forget that their negative words are about them, and not about you. Maybe they are jealous of what you are creating. Maybe they are frustrated with themselves that they don’t do much to help others or the animals. Maybe they had a bad day at work or are in a fight with a loved one and are taking it out on you. Whatever their reasoning, their issues are theirs and you shouldn’t make them your own. Never let the negativity of friends, family, colleagues and complete strangers deflate the inspiration and motivation you have for your lifesaving animal ideas. Do like I do and tell yourself, “They’re just not thirsty right now” so you remember that it’s about them, and not about you, regardless of what they say. Nothing good ever came from the status quo and the same holds true for animal rescue. We need your ideas, your inspiration, your feedback and your breakthroughs to help the cause and help save more animals. Never give up and never forget who you are fighting for.